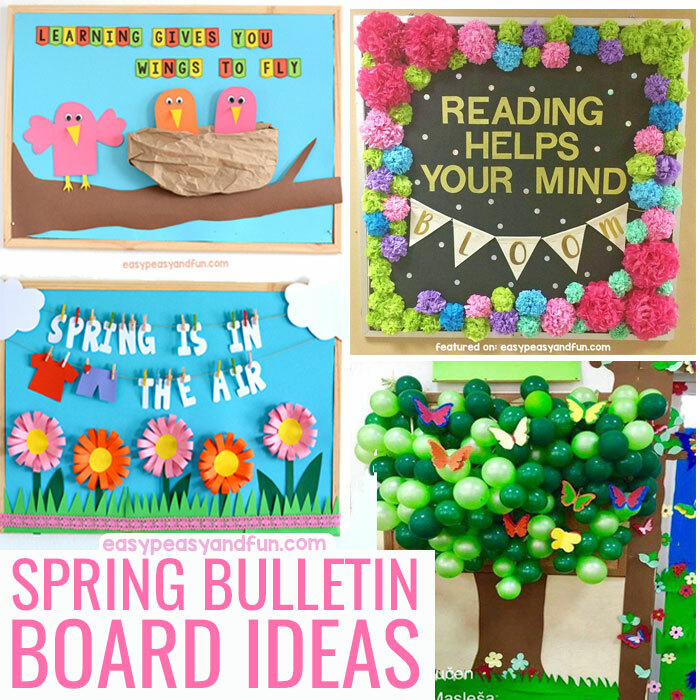 Oh how we love these amazing spring bulletin board ideas for teachers to decorate their classrooms! 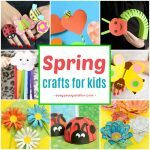 You will find lots of ideas and they are perfect for nursery, preschool, kindergarten and middle school. 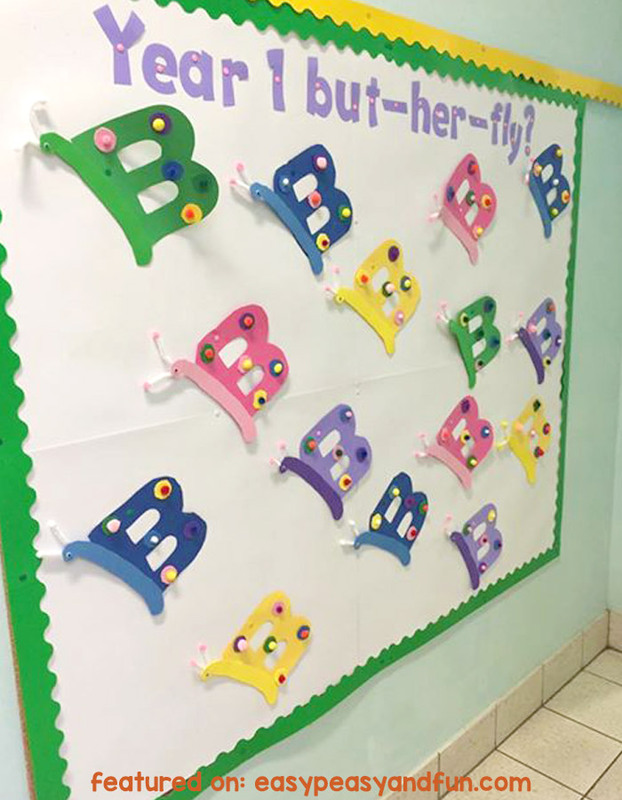 Some of the bulletin board ideas are meant to be made by teachers while others are a class project, where you have your students help you with the decorations. 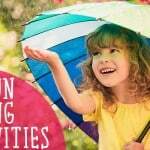 All of these will look amazing in your homeschool classroom too! Happy decorating. 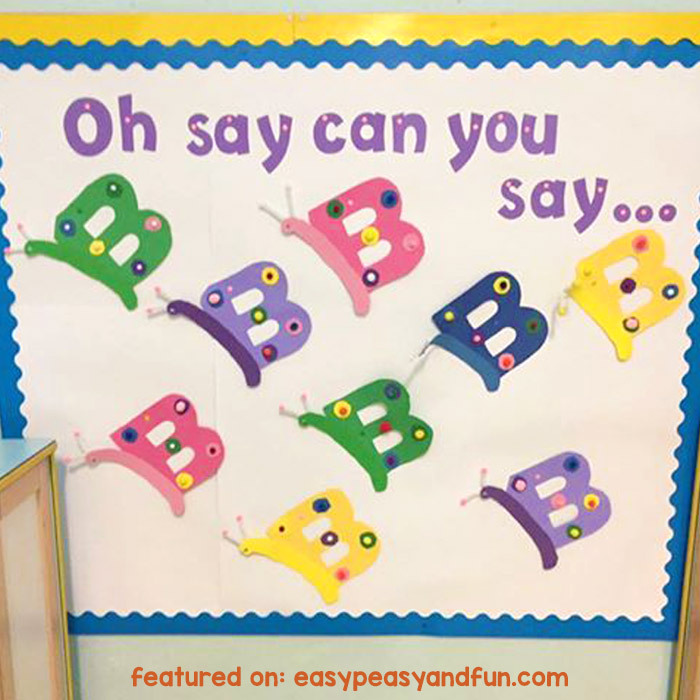 We are sharing a few ideas that we prepared for you as well as featuring some of the coolest classroom decoation ideas submited to us by teachers from all around the globe (want to see yours featured here too? Send your photos to info@easypeasyandfun.com – or join our Facebook group and share the photos with the community. 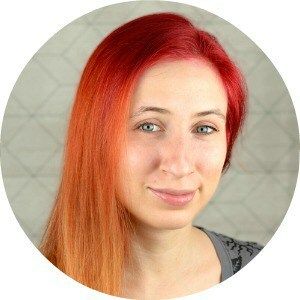 There are many cool themes you can use for spring, flowers, bugs, growing being the most popular picks. These are perfect for end of February, March, April and other spring months. 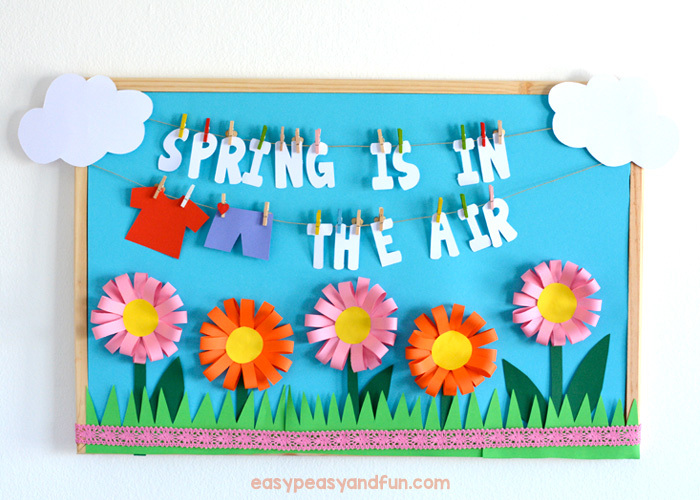 Let your students help you with the most adorable and easy spring bulletin board. 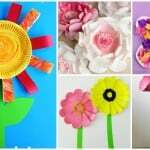 Have them stamp their hands on a piece of white construction paper (use the flower like paints). If they can write their name next to the handprint that will be even cuter. 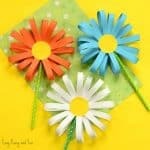 Cut out the handprints and turn them into flowers! The grass on this one was made out of tissue paper (you can actually get one cut into strips at some party supply stores). 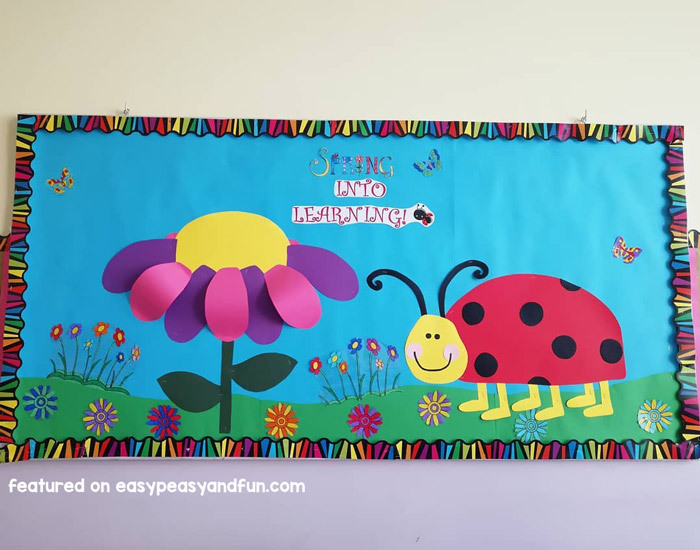 Cateterpillars are certainly popular when it comes to spring bulletin boards, be it to appreciate nature or Eric Carle’s the Hungry Caterpillar. To make this one, use some of the brown packaging paper, wrinkled it up a bit to get the bark texture and stick it to the bulletin bard to make the branch. 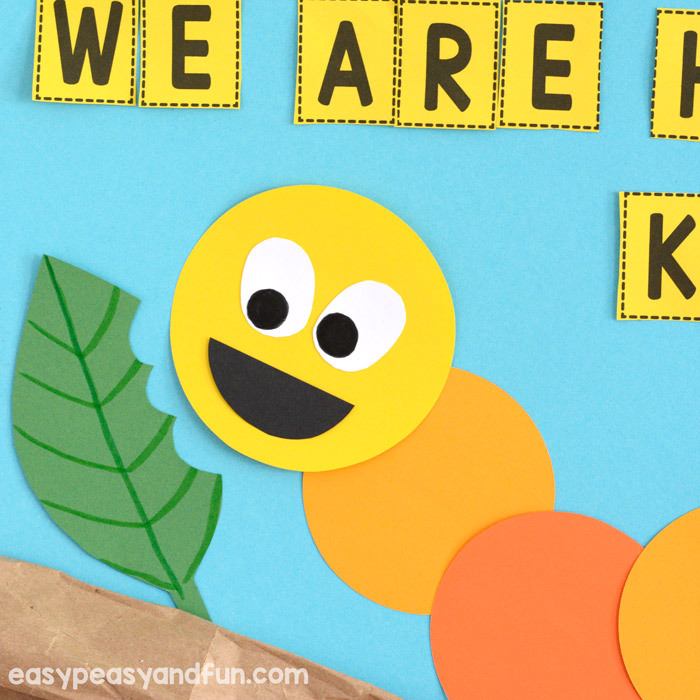 Cut circles our of “caterpillar” colored construction paper (if you are decorating bulletin board often and cut cirles often I do recommend getting a circle cutter. This one is a twist on air drying the laundry. Cut the letters (I do recommend using the cutting machine for this as it can be quite a challenge to cut them otherwise). You could also print the letters on paper and cut them out in shapes of shirts, socks, pants and other laundry. It all depends a little on how much space you have on your bulletin board. Hang the letters with clothespins on twine to make the laundry line look. I also added two clouds cut out of construction paper on each end. 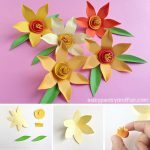 Make paper flowers (you can check a smaller scale tutorial for making paper strip flowers). 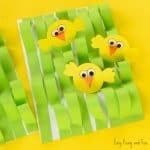 Cut grass out of green construction paper and decorate with ribbon, if you so wish. 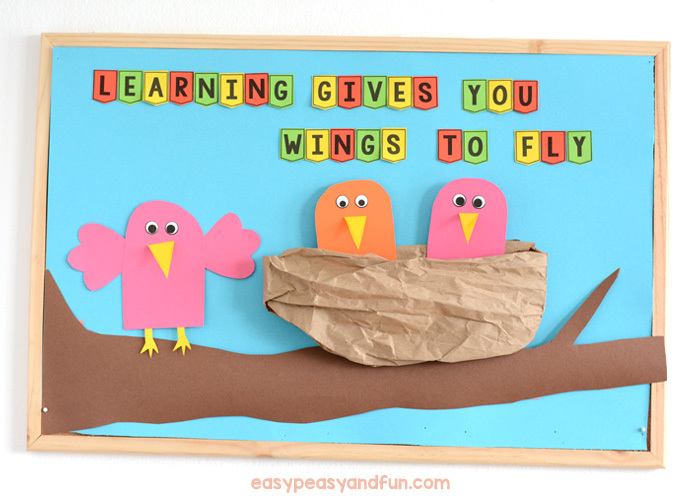 Another fun spring bulletin board idea are these lovely birds in a nest. To make this one, use some brown packaging paper and wrinkle it up and shape into a nest. 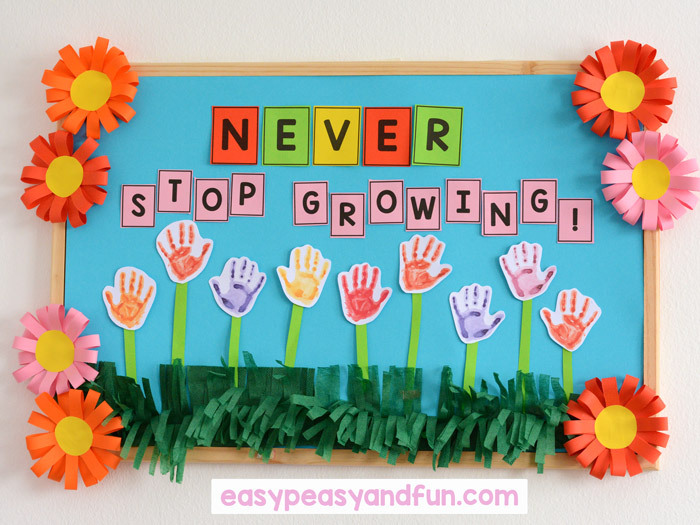 Cut a branch shape out of brown construction paper and stick it onto your bulletin board. We made the birds super simple, with oval shapes. Two in the nests and one ready to fly. 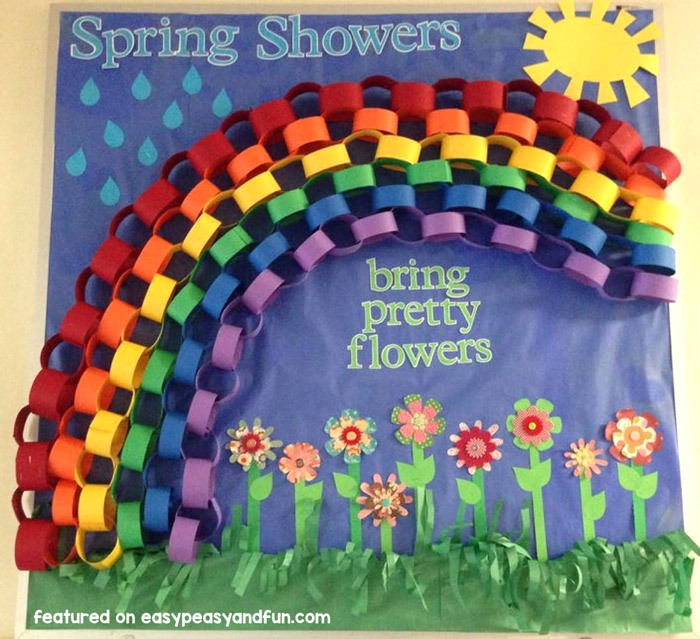 We do love paper chains and you can make the most impressive rainbow display with them. Both the blossom and the ladybug are beyond adorable on this one. 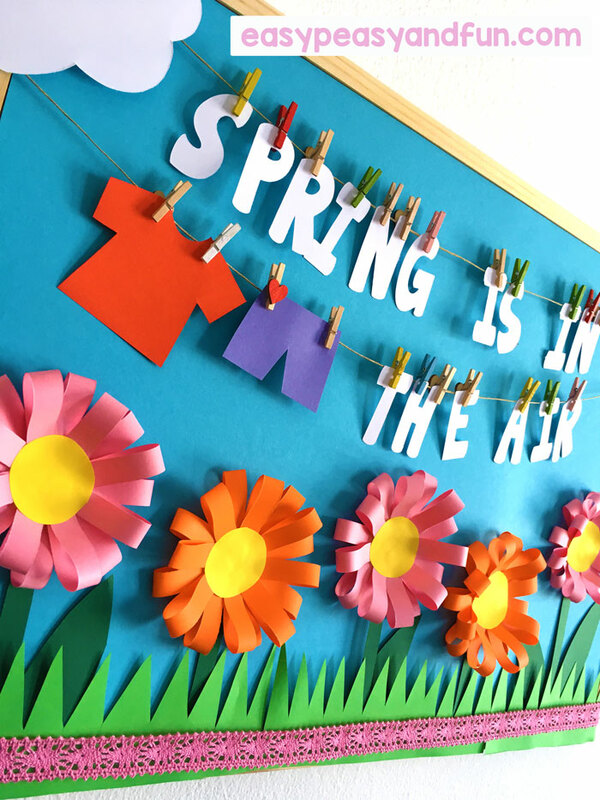 This idea was submitted by Katarina, and it’s one of the coolest looking ideas for a spring bulletin board. 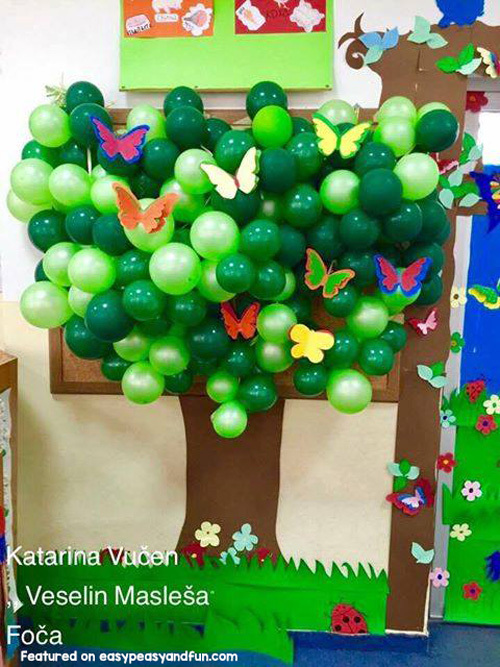 A whole bunch of green balloons tied to the board and decorated with paper butterflies to give a even more springy feel to it. We love it. 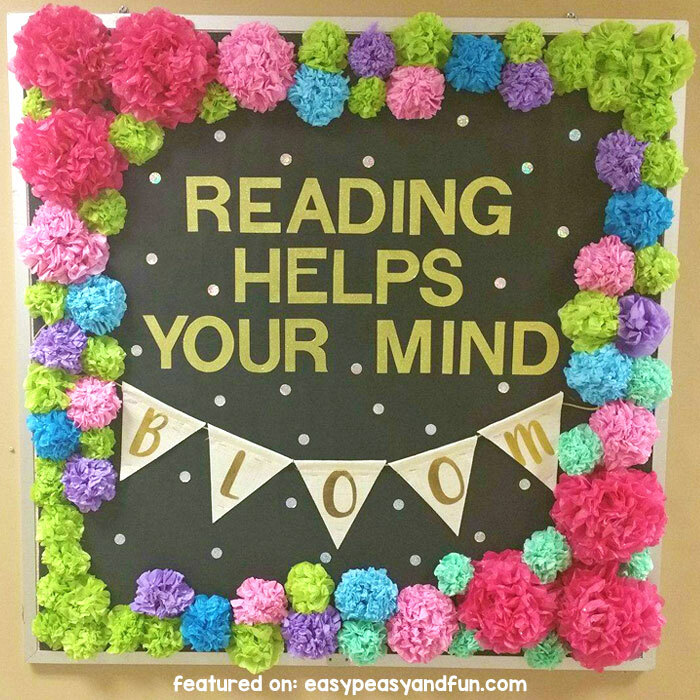 We love the title and decorations of this gorgeous bulletin board submitted by Kayla C. Tissue flower bulletin board border is screaming spring. 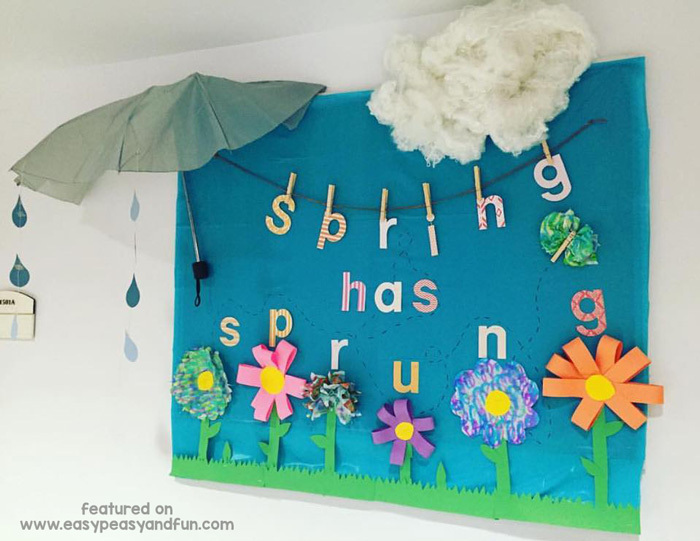 You can totally use your every day objects when making your bulletin board, just check out this wonderful display submitted by Emily H. Use your old broken umbrella, add a few paper raindrops and impress. The little clothespin butterfly is super cute too. 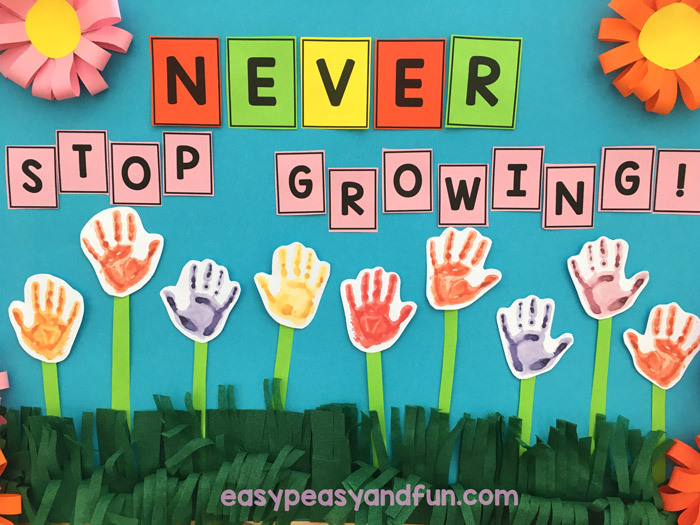 Send your classroom (any season) to info@easypeasyandfun.com – we are always on a lookout to feature new ideas. Or join our group on Facebook and share your ideas with the community.